Today we are welcoming a new member of the Review Crew. Please give a warm welcome to Sharmin. Charlotte Brontë’s Jane Eyre is not in the least a glamorous love story. However, in this elegantly written novel, there lives a seemingly ordinary young woman who is spirited, and righteous in nature. Although continuously told throughout her life to suppress her passionate disposition, first by her family, next by the institution which – ideally — should have nurtured her intellect and independent nature, she still refuses to compromise her life. Though at first Jane’s physical plainness is associated with mediocrity by almost everyone around her and while their opinion of her physically lacking appearance doesn’t change much, she still comes to be respected as an honest and intelligent individual. We first meet Jane Eyre as an abused, young orphan living with her only known relatives by whom she is sent off to Lowood School for girls. She spends a number of years there being further abused before taking a position at Thornfield Hall as the governess of a young girl. Upon helping the man who is the heir of Thornfield Hall one night, their relationship grows into something more than the average one between a superior and an employee. From here we see Jane and Mr. Rochestor’s love live through the passage of time in their attempts to deny each of the other or secure their love through more ideal methods. Mr. Rochester is arguably one of the most charismatic love interests I have read about in a long time. Despite my initial impression of him as thick-skinned and bitter, he turned out to be intense, intelligent and flawed. I’ve also read somewhere that the images she paints of the boarding schools are very accurate and that she draws knowledge from her own experiences of residing and working in one early in life. And surely enough, poverty is a force captured fully by Brontë’s beautiful writing style. The passage below showcases Jane’s experiences during the beginning of her time at Lowood. 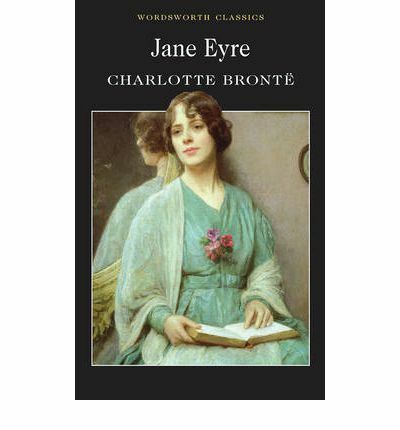 Even harboring all the hardships of her life, Brontë makes Jane a resilient and morally robust protagonist who, even in her misfortune, finds satisfaction and love. Unlike her sisters’ novel, which is just as dark and profound as Charlotte Brontë’s if not more, the characters are hopeful, optimistic and redeeming in nature. They also have more in common than their passion for each other, a mutual respect for one another—a trait lacking between the two main protagonists in Wuthering Heights. If you are a first time reader of Brontë, be warned if you go into this novel expecting another Pride and Prejudice as I did, than you will be slightly put off because while I love Austen, Brontë has a more brooding tale to tell. While it is not as biting in its dialogue or humor as Pride and Prejudice, it is just as satisfying. However, the most delightful of lines from Brontë’s Jane Eyre is most probably the first line in the very last chapter, “Reader, I married him” which concludes the entire story as simply and straightforwardly as it began. Congrats on your first review Sharmin. It’s a great read and your review does it justice. Thanks a lot! I hope I can write more because I love the idea behind this blog!